An independent show guide not a venue or show. All tickets 100% guaranteed, some are resale, prices may be above face value. We're an independent show guide not a venue or show. We sell primary, discount and resale tickets, all 100% guaranteed prices may be above face value. We are an independent show guide not a venue or show. We sell primary, discount and resale tickets, all 100% guaranteed and they may be priced above or below face value. 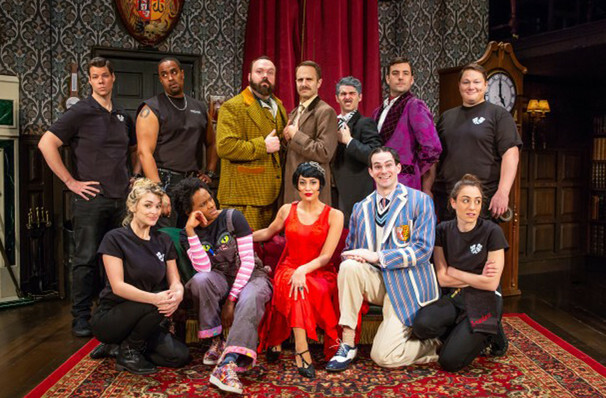 Although export comedy smash hit The Play That Goes Wrong made its final Broadway bow at the Lyceum theater in January 2019, theatregoers and critics adore Mischief Theatre's first production so much that it simply moved to a long term home Off Broadway at the New World Stages! 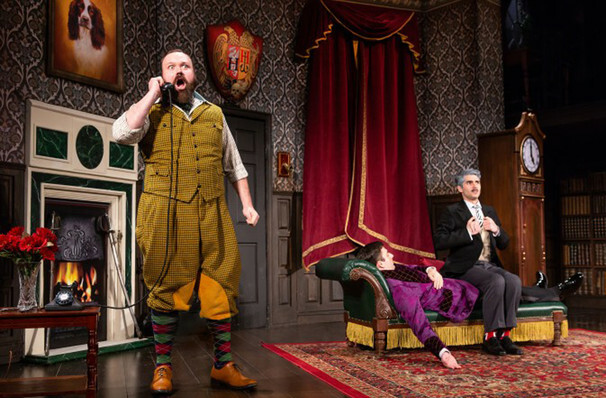 From humble off-West End beginnings at London's Old Red Lion fringe theater/pub in 2013 (rumour has it a mere four audience members attended its debut), the riotously funny rib-tickler of a show has grown to become a global phenomenon, merging slapstick physical comedy with a wry sense of tongue-firmly-in-cheek British wit and a winning self awareness. 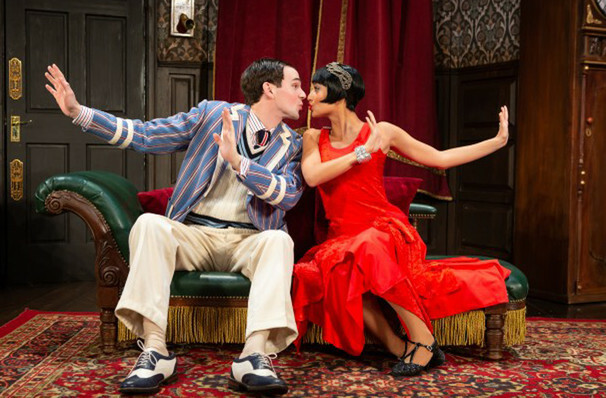 Four years later, with an Olivier Award already under its belt, TPTGW won a Tony during its Mark Bell-directed and J.J. Abrams-produced stint on Broadway and was so well received it extended its run by five months. 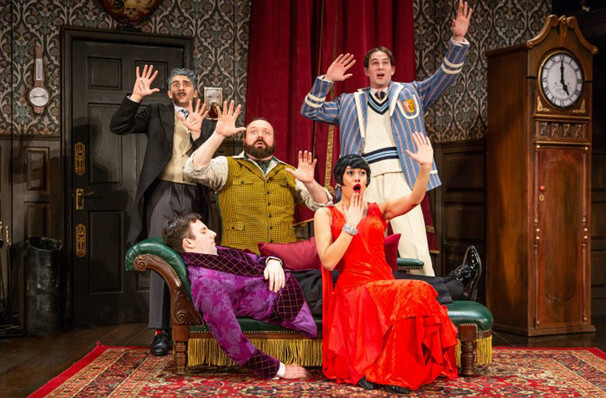 A cross between Sherlock Holmes and Monty Python, the show expertly weaves together mishaps, accidents and pratfalls with timing so expert it's not uncommon for the audience to gasp at the ensuing onstage chaos. 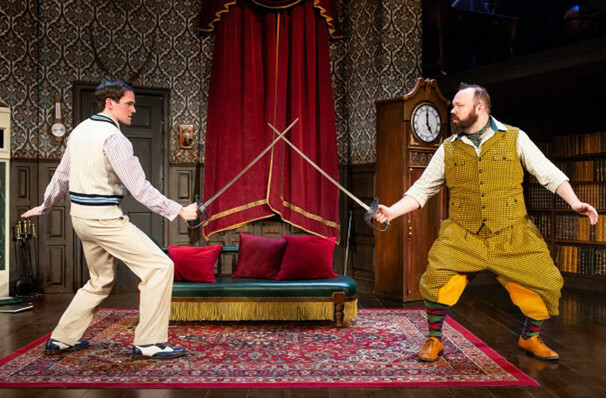 It's a play-within-a-play that takes farce to the next level and though it may seem that everything is going wrong, its underlying intelligence, technical mastery and jaw dropping stagecraft get things very, very right. 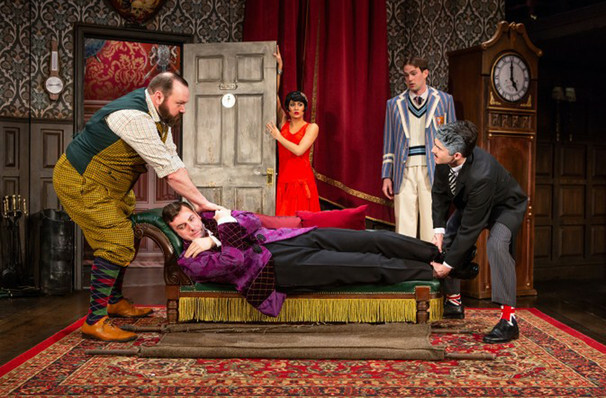 What Is The Play That Goes Wrong About? 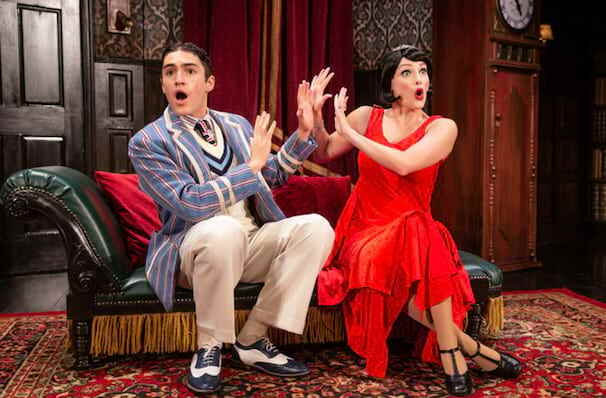 Proving that it takes a high level of skill to maintain a constant incompetence, the Cornley Polytechnic Drama Society is looking to add another blockbuster show to their already esteemed roster. Their past productions include 'The Lion and The Wardrobe', 'Cat' and 'James and the Peach' (unfortunately budget concerns mean they've had to produce economic versions of these classics), but things are looking up for the amateur company. 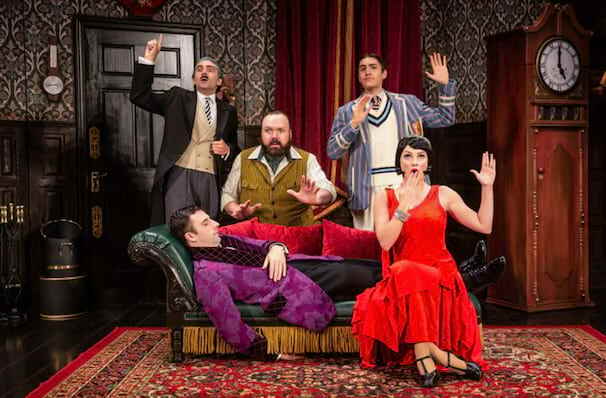 They've recently come into some money and are gearing up to put on 'The Murder At Haversham Manor', a thrilling whodunnit that could be the next Mousetrap, that is unless the bumbling crew can remember their lines, keep the set from falling apart, and find the cast's runaway canine member as well as a myriad misplaced props! 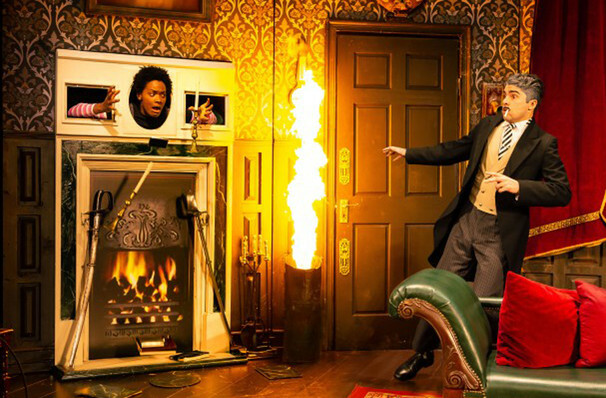 Please note: the above image is from a past production of The Play That Goes Wrong. Sound good to you? 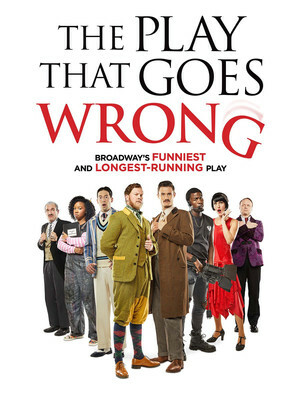 Share this page on social media and let your friends know about The Play That Goes Wrong at Stage 4 New World Stages. Please note: The term Stage 4 New World Stages and/or The Play That Goes Wrong as well as all associated graphics, logos, and/or other trademarks, tradenames or copyrights are the property of the Stage 4 New World Stages and/or The Play That Goes Wrong and are used herein for factual descriptive purposes only. 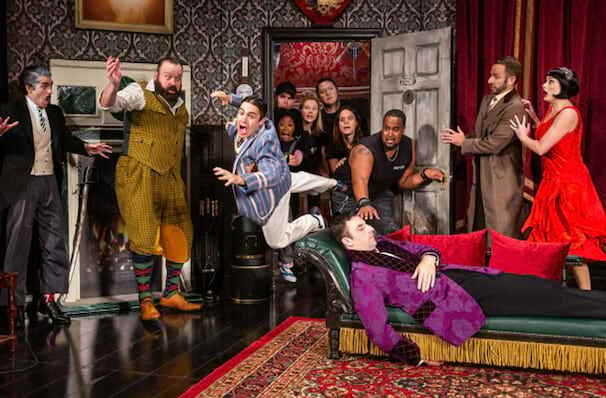 We are in no way associated with or authorized by the Stage 4 New World Stages and/or The Play That Goes Wrong and neither that entity nor any of its affiliates have licensed or endorsed us to sell tickets, goods and or services in conjunction with their events.